Malaysian Butter Prawns is one of my favourite local Malaysian seafood dish. You may have already heard of Cereal prawns or Nestum prawns, well it's kind of same same but different! I don't like cereal of any kind! Blergh! But this, I like.. it's very shiok! The preparation time took the longest as I had to devein the prawns without removing the shell. And I forgot to remove the eyes.. but that's okay, because I don't eat the prawn heads anyway. Firstly, clean and devein prawns. Use kitchen scissors to cut shell to remove veins. Marinate in tumeric, add a pinch of salt and pepper. 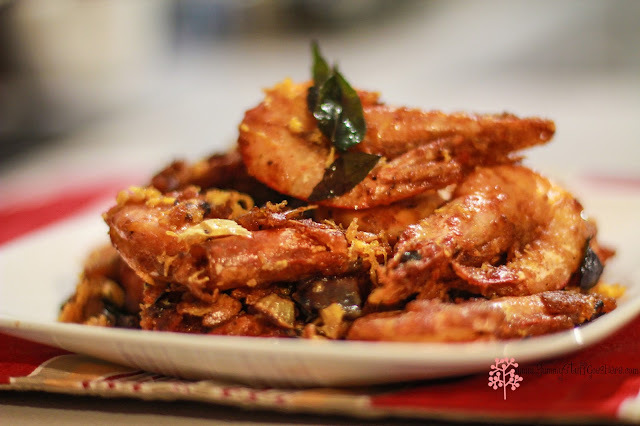 Coat prawns in rice flour. Heat enough oil to deep fry the prawns. Fry in the hot oil until shells turn red and looked crunchy. Remove and drain, set aside. Next, use about 2 tbsps of the oil used earlier in your wok. Briskly fry the garlic, chilli peppers curry leaves and salt until fragrant. Turn heat to medium-low, add the butter. 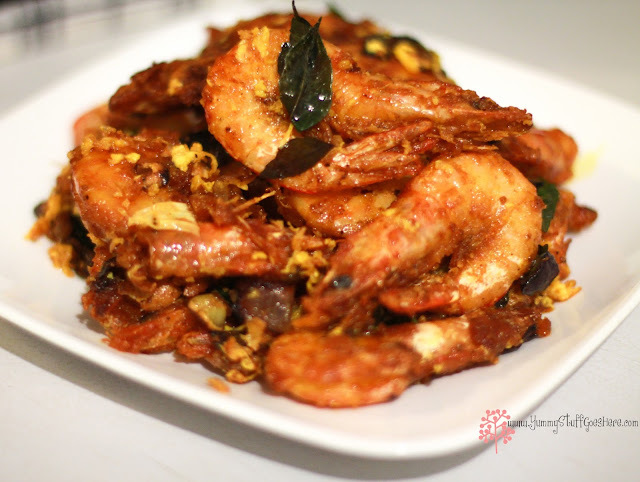 Next, add the egg yolks, squeezing through a perforated spoon and finally add the prawns that were fried earlier. Add more salt if desired at this point. Stir-around to coat prawns with the butter sauce. Serve hot. 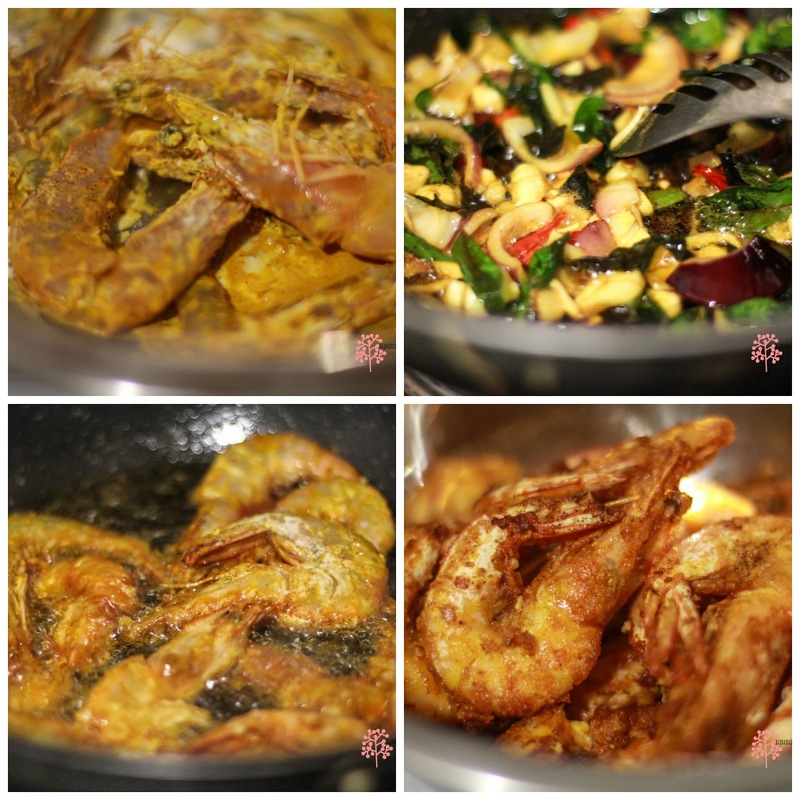 And there you have it, Butter prawns, not for the faint hearted! Seriously yummo! 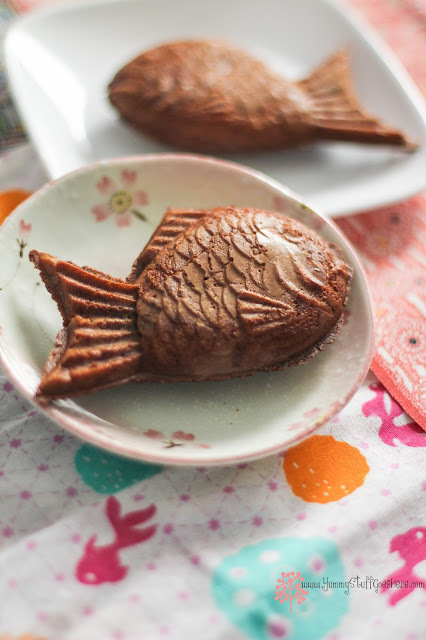 I love these Taiyaki snacks, often, you can see these selling like hot cakes in Japan or Korea. There are lots of fillings you can add in yourTaiyaki, my favourite would be the red bean paste from the azuki beans. You can make the paste yourself or buy a can from your Asian Grocer. 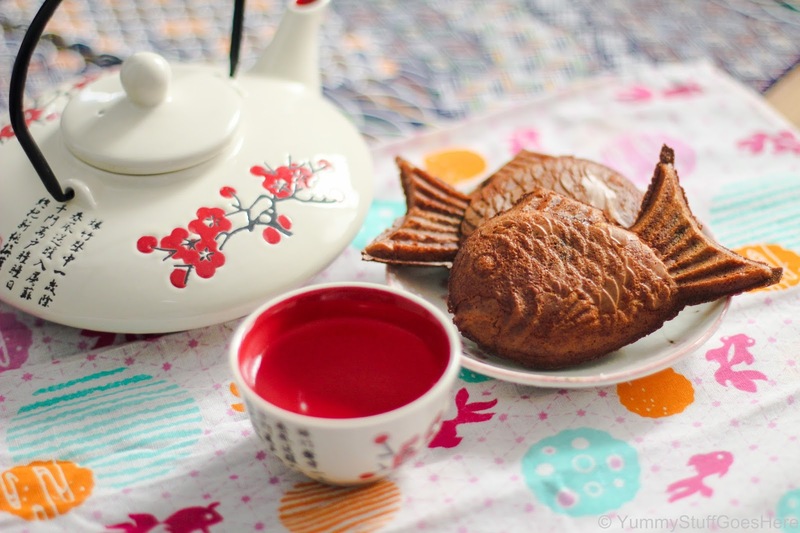 Here are some options for taiyaki if you do decide to make some one day. 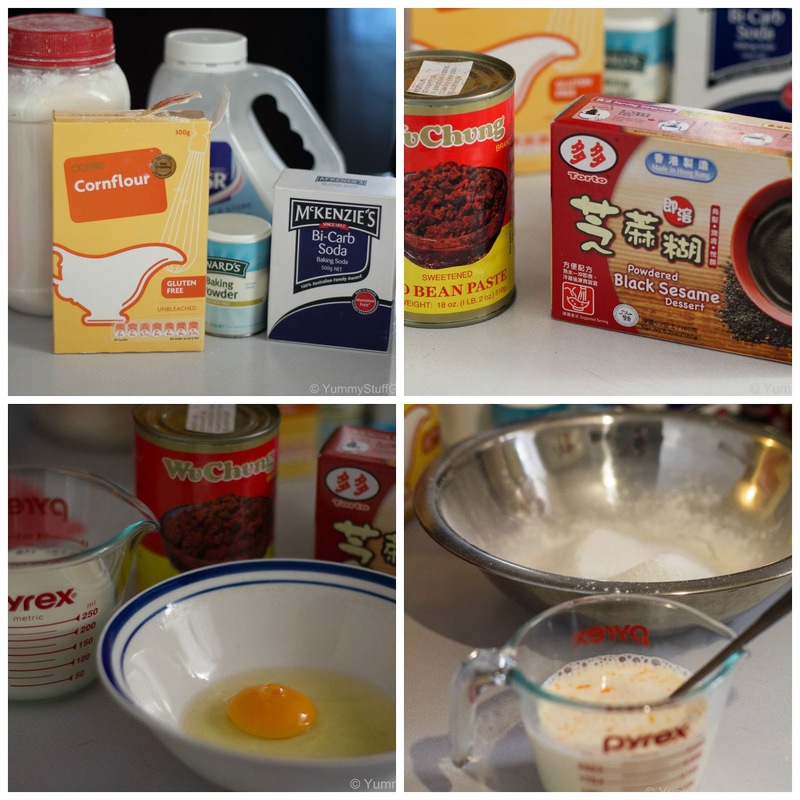 Combine the flour and baking soda and mix together with a whisk. Add sugar and mix again. Beat eggs, add the milk, mix well, then add into the dry ingredients a little at a time and mix gently putting the batter through the gaps of the whisk. Mix the batter gently. Grease the taiyaki pan lightly with oil and warm it up. Fill the pan halfway up with batter. Pour more batter over the top to cover the beans. Close the lid of the pan and cook for 3-5 minutes until golden. They're ready to eat whilst they're still hot.